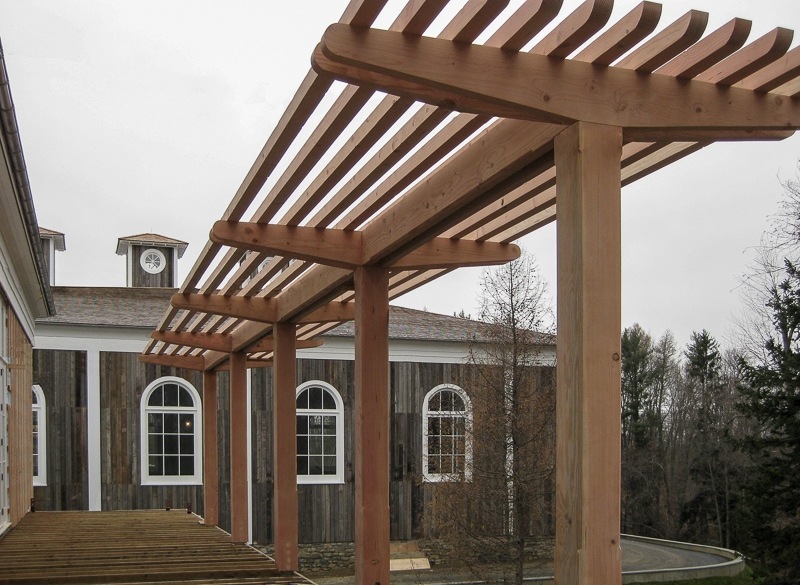 shade timber frame trellis on a golf course in Pinehurst, NC protected from the elements by three coats of Sikkens Cetol finish. 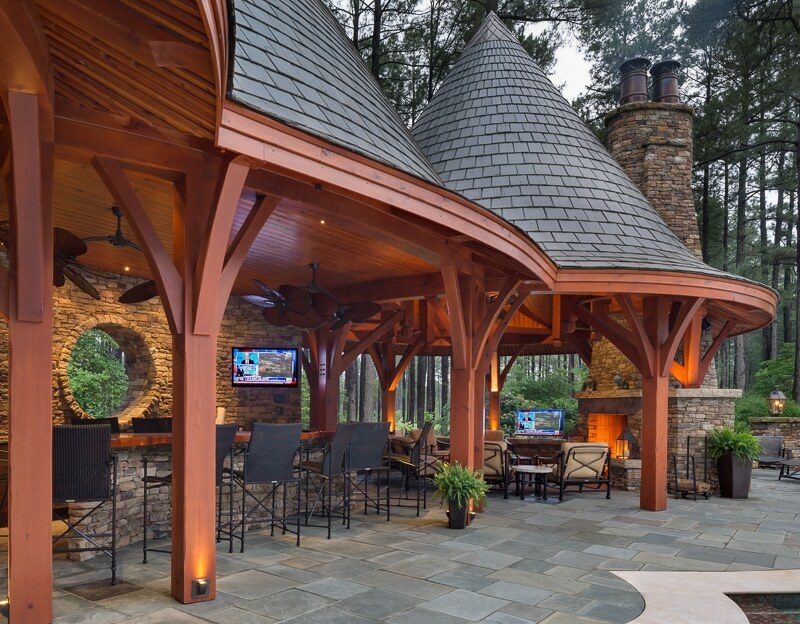 This White Oak timber frame pavilion, located in Rock Hill SC, was christened “The Shed” by the Owners, and won an award in 2015 from the South Carolina Chapter of the American Society of Landscape Architects (SCASLA). 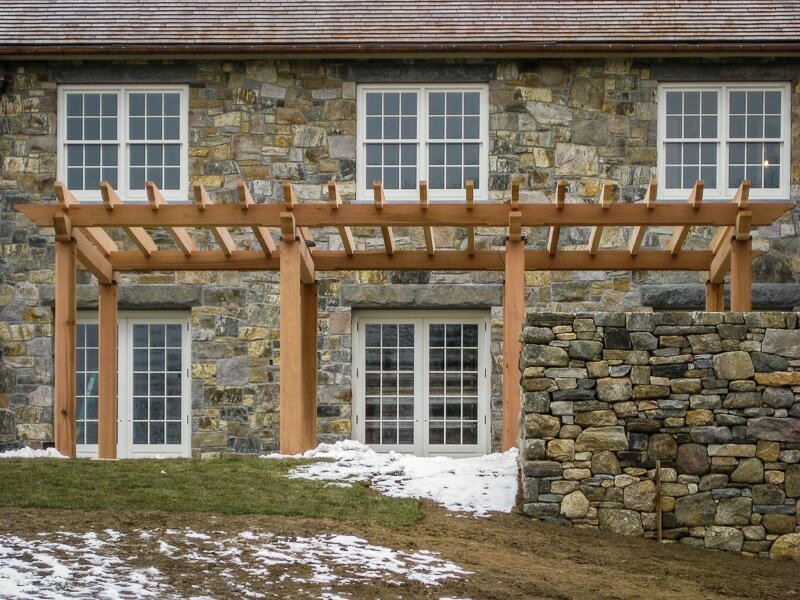 Western Red Cedar timber framed trellis on an estate in Washington Depot, Connecticut. 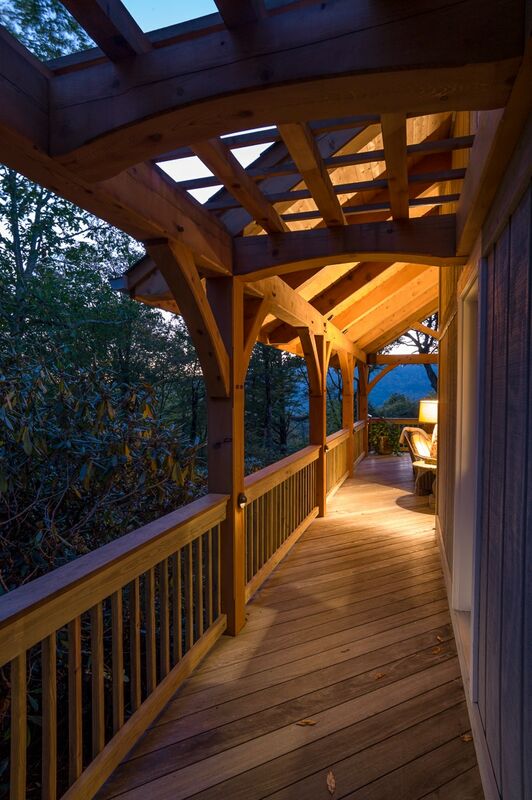 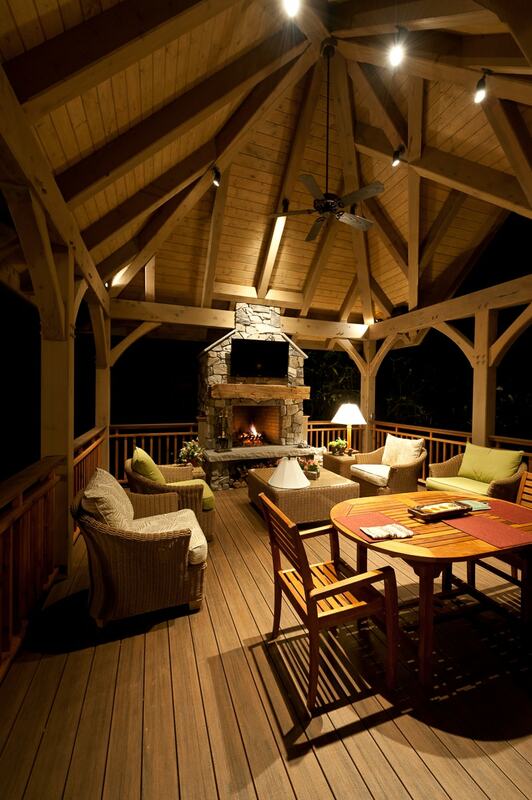 A Cedar timber frame trellis provides shade, defines the space, and imparts visual drama to this deck in the High Country of Western North Carolina. 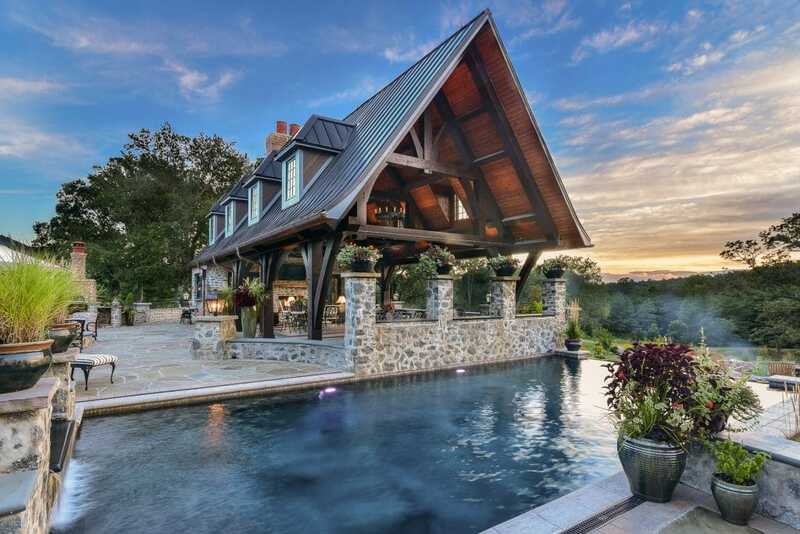 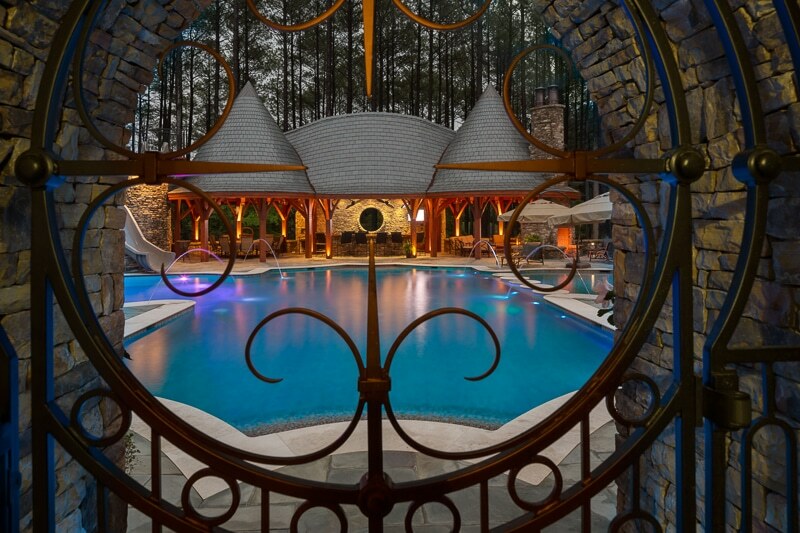 A one-of-a-kind Western Red Cedar timber frame pool pavilion in Pinehurst, NC. 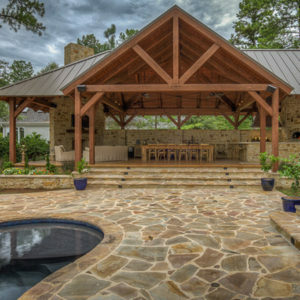 This project was featured in the Project Gallery of Fine Homebuilding magazine’s October/November 2013 issue (the full article is on our website at Our Story/Publications). 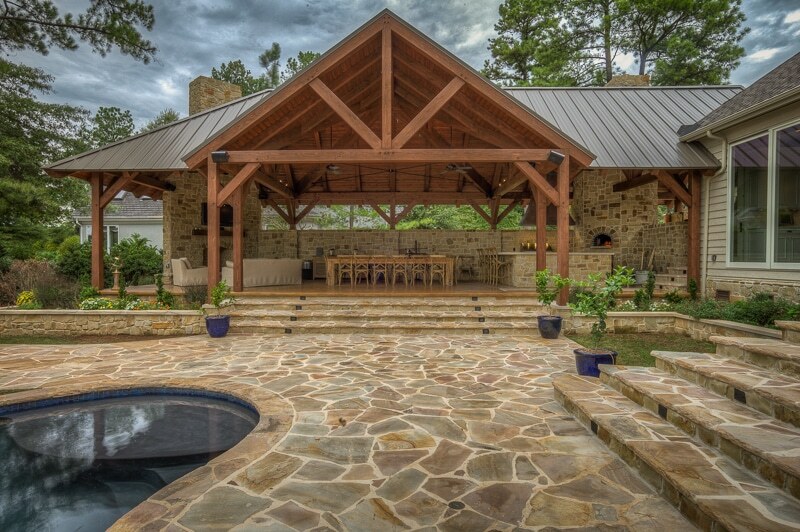 Design by Tony F. Miller, AIA LEED AP of Miller Architecture in Charlotte, NC. 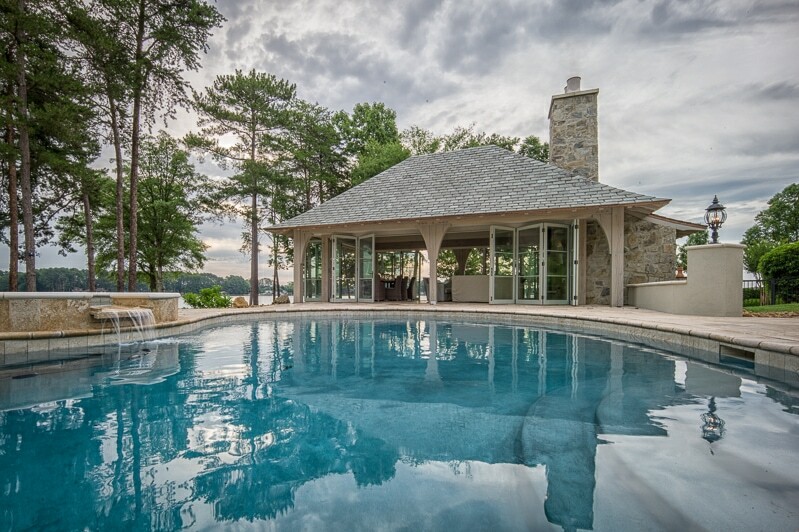 Life by the pool just got better: A timber frame Pool Pavilion addition designed by Pursley Dixon Architecture. 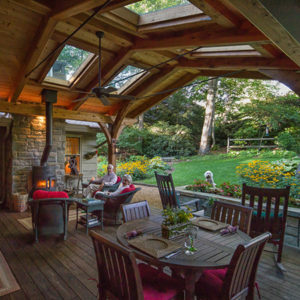 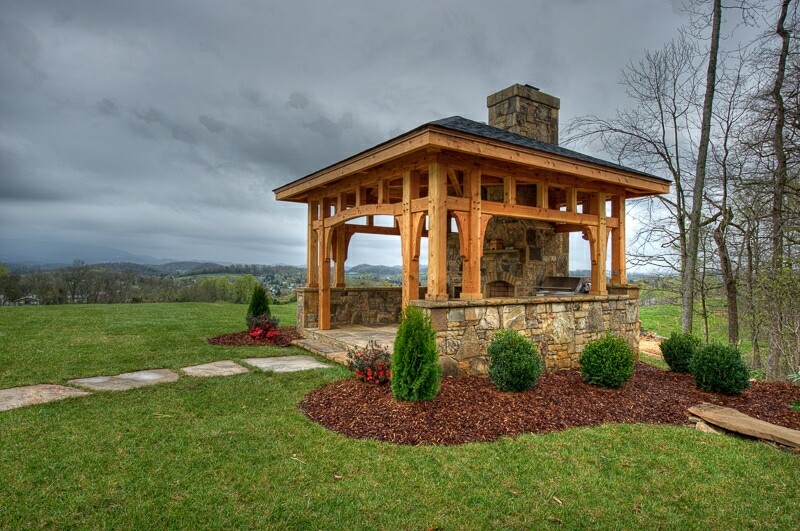 An outdoor timber framed pavilion in Eastern Tennessee featuring a wood-fired pizza oven. 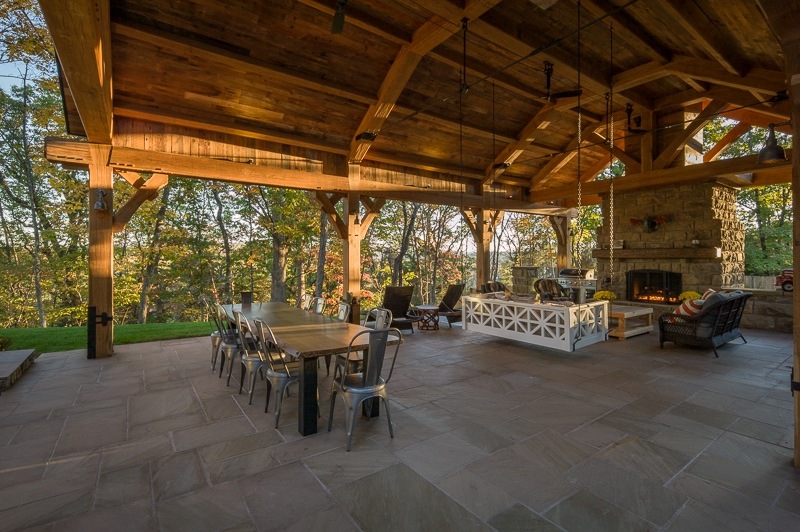 Late afternoon light in the Fall illuminates a White Oak timber frame pavilion on Clayton Lake in Virginia. 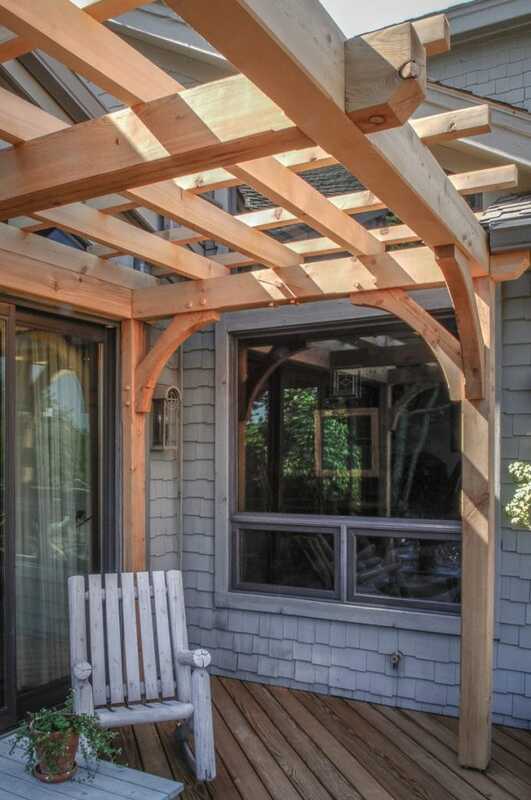 We understand that the hanging day bed is impossible to remain awake in for more than 5 minutes. 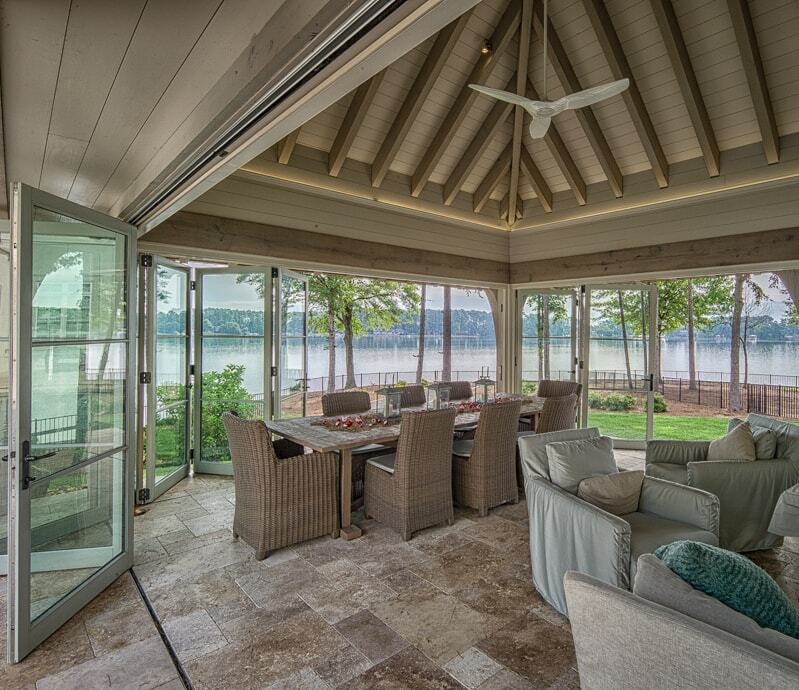 This Douglas Fir timber framed Pool House on Lake Norman includes both a wood-burning fireplace and pizza oven. 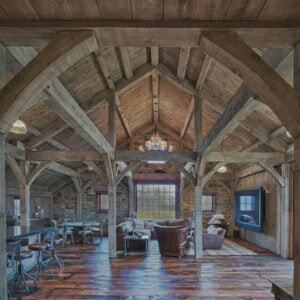 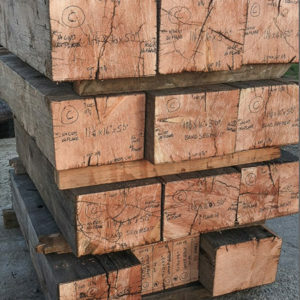 When we finished, the Owners asked Carolina Timberworks to build a timber frame Dining table from reclaimed Oak. 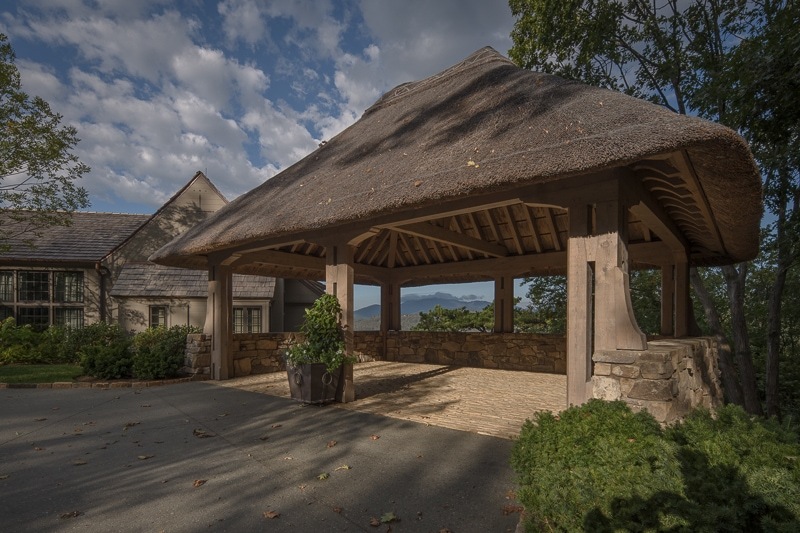 We’ve been asked what is the difference between a gazebo and a pavilion? 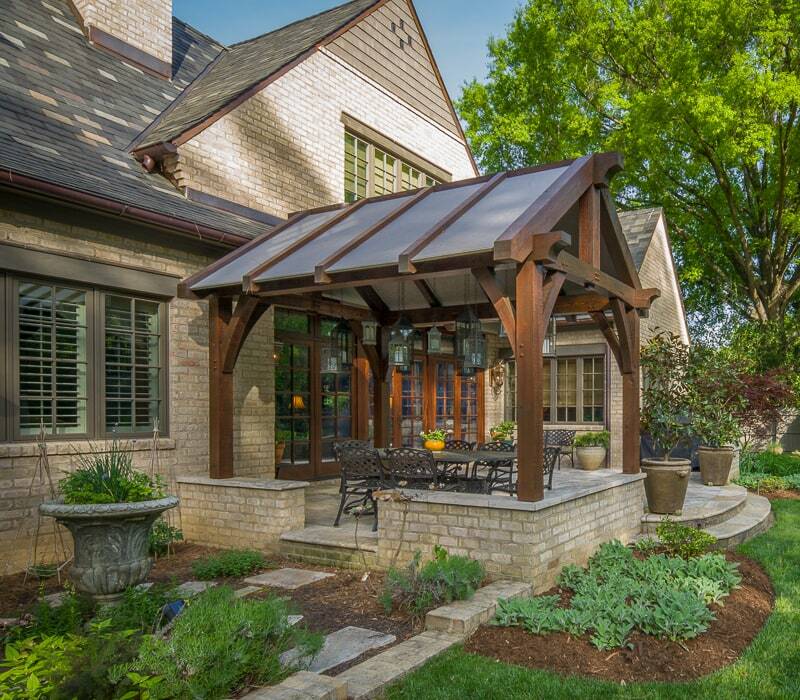 The consensus is that a gazebo is a type of pavilion structure, but gazebos tend to be smaller in size. 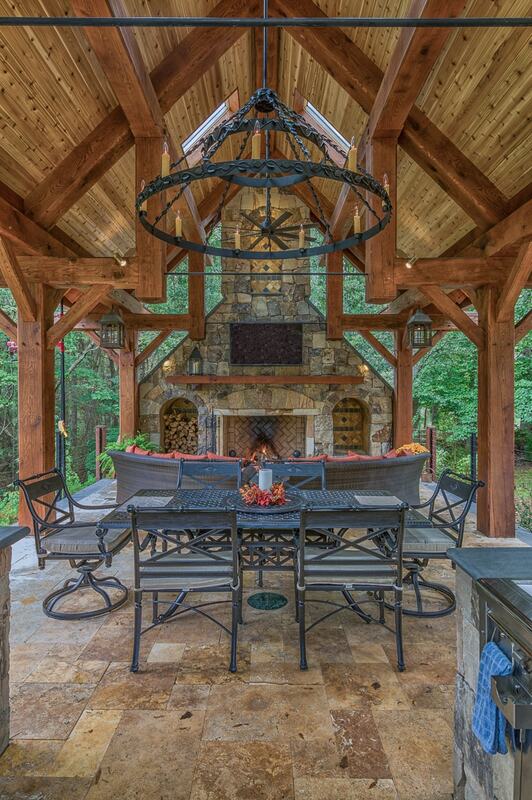 This one is located in the woods at Grandfather Golf and Country Club, within earshot of a mountain stream. Side view of a timber framed Dining Pavilion in Charlotte, NC. 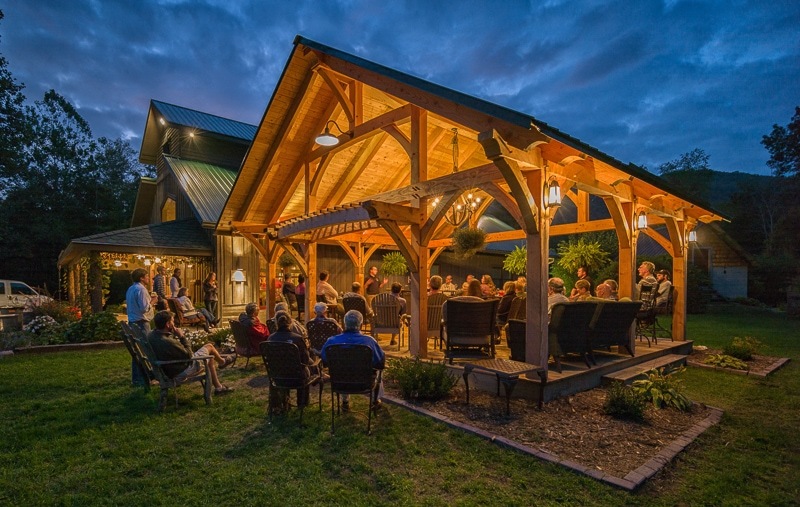 The Owner came up with a brilliant idea: covering the roof in sailcloth canvas fabric stretched tightly between the Cedar rafters. 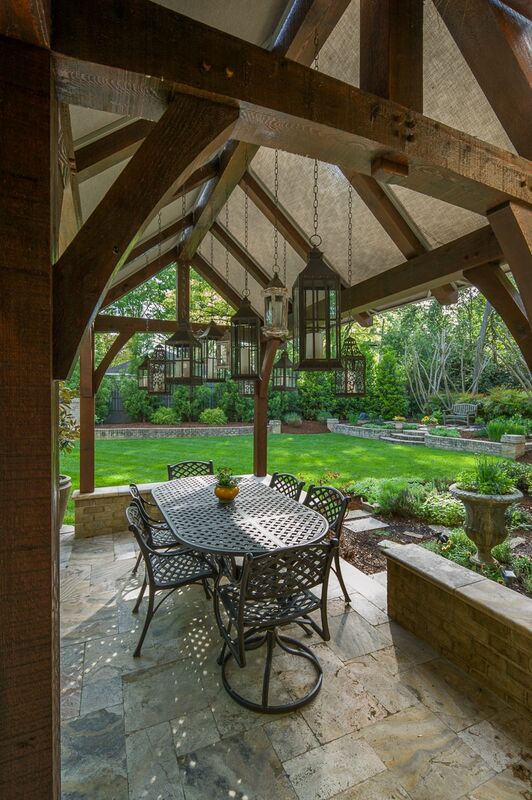 A timber framed Dining Pavilion in Charlotte, NC. 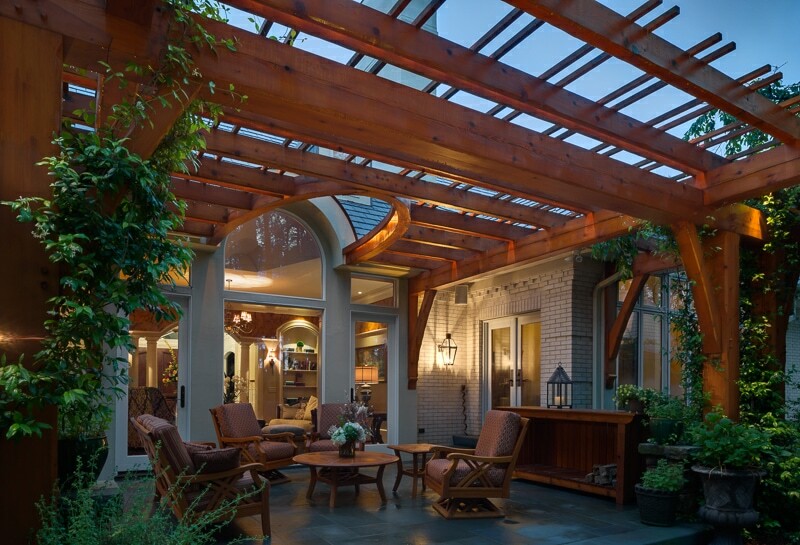 The roof is canvas sailcloth which provides both shade and beautiful diffused light to candle-lit dinners outside. 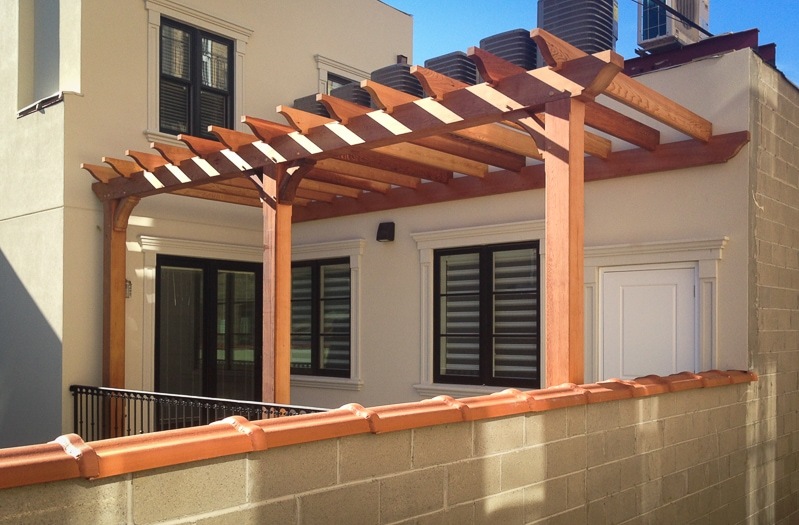 A Cedar timber frame trellis in Brooklyn, New York City. 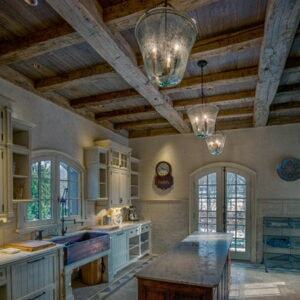 Design by Minda Baez of Signature Interior Design. 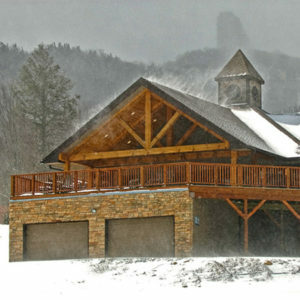 Every now and then a project crosses our desks that we just have to build. 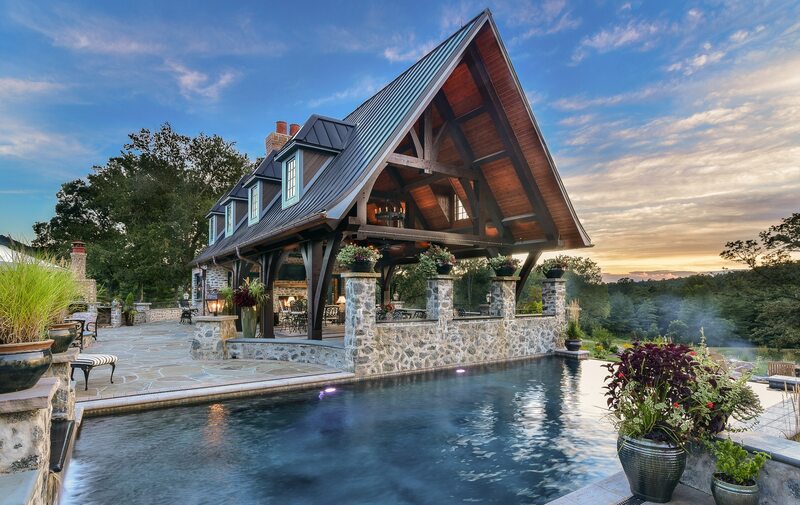 This timber frame pool pavilion fit the bill. 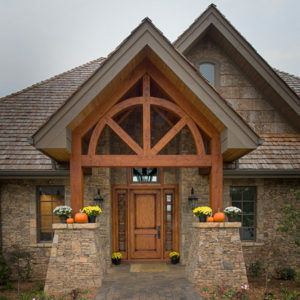 The two round sections are built in an octagonal hammer-beam configuration with octagonal finials on the end of each hammer post, all braced back to the round top plates by drawknifed curved timber braces.